If the idea of visiting the dentist makes you uncomfortable, then sedation dentistry might be the solution to ensure you get the dental care you need. Through the use of sedation dentistry, Dr. Elrod has helped hundreds of patients throughout Lake Jackson and beyond achieve a better smile. Going to the dentist makes you nervous or uncomfortable. You’ve had a bad experience with another dentist. You have difficulty getting numb. You have an extremely sensitive gag reflex. You experience extreme anxiety during certain treatments. Laughing gas: A sedative gas mixed with oxygen that you inhale during your treatment to feel more relaxed. Laughing gas is a mild form of sedation that wears off within minutes. Oral sedation: An oral medication taken before your treatment that makes you feel calm and at ease by the time of your appointment. This medication stays in your bloodstream longer, so plan on having a friend or family member drive you to and from your appointment. 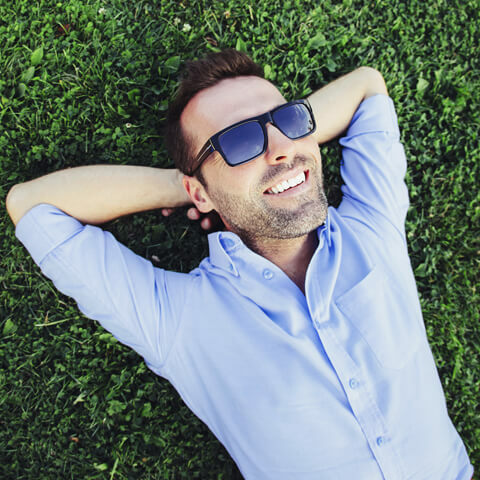 Sedation dentistry can help our anxious patients get through a dental procedure quickly. A relaxed patient means we can be more efficient and precise, and we want to make sure you have the best results possible. Your oral health and the beauty of your smile are important to us! During your initial visit with us, Dr. Elrod will explain each type of sedation dentistry to help you determine the best option for you. No matter what, we’re committed to making your dental care as comfortable and effective as possible.